Why are energy drinks so popular? Due to demanding schedules, lack of sleep, and hectic lifestyle, these drinks are popular because they help give people a quick boost of energy. The caffeine and other ingredients stimulate the central nervous system, giving the mind a sense of alertness and the body more energy. Energy drinks are generally regarded as safe if consumed in moderation and not during exercise or with alcohol. However, their powerful ingredients can be dangerous if consumed in excess so it’s a good idea to educate yourself if you are a fan of these trendy drinks. What common ingredients are found in energy drinks? Caffeine: generally has less than a cup of coffee or as much as 2 cans of soda. For example, Red Bull has 80 mg of caffeine per 8.3 oz, generic coffee averages 133 mg of caffeine per 8 oz cup, Starbucks 12 oz coffee has 260 mg caffeine, and Coca-Cola Classic has 35 mg caffeine per 12 oz can. However, most people don’t just drink 8 oz of energy drinks, they tend to consume much more, thus increasing the likelihood of exceeding the recommended limit of 300 milligrams of caffeine per day. B Vitamins: help convert food to energy as they are involved in metabolism. These tend to be found in excess in energy drinks. B Vitamins are water soluble; therefore excess is quickly eliminated in the urine. Certain B Vitamins can have a diuretic effect, thus increasing urination and dehydration. Sugar: is broken down to glucose, which is the body’s primary energy source, but certainly not the healthiest. It is metabolized quickly causing spikes in blood sugar, offering a quick burst of energy, which is followed by crash. This can contribute to weight gain and diabetes if consumed in excess. Taurine: an amino acid that our body naturally produces. Help regulate heart rate and muscle contraction. Guarana: comes from South American plants. Contains high amounts of caffeine to increase alertness and energy. Ginseng: an herb known to increase energy and memory while decreasing stress. Ginkgo Biloba: an herb known to help with memory, concentration, and depression. Milk Thistle: an herbal supplement used as a counter agent for mixing energy drinks with alcohol, as it is known to help detoxify the liver. Creatine: helps supply energy to cells and muscles by increasing the formation of ATP. 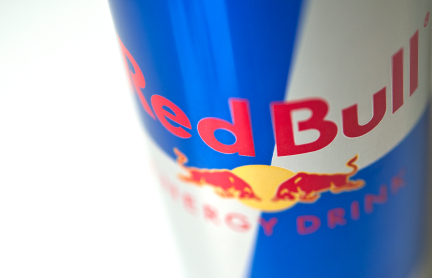 What are some of the health risks with consuming energy drinks? What are some of dangers in consuming energy drinks during exercise? Perspiration during exercise leads to fluid losses. These fluids need to be replenished for adequate hydration. While most sport drinks are non-caffeinated and meant to replenish fluids lost in exercise, energy drinks have a large dose of caffeine and herbal stimulants that can lead to dehydration. The caffeine and other ingredients have a diuretic effect, stimulating the kidneys to produce more urine and lose more fluid. It is important not to confuse sport drinks with energy drinks as sport drinks are meant to replenish fluids and electrolytes while energy drinks can actually dehydrate you. Weather it’s a long road trip, working late at the office, or socializing at a party, if you find yourself reaching for an energy drink, make sure you do so responsibility so you don’t cause unfavorable effects on your health. Energy drinks should be used responsibly. If caffeine is part of your daily routine, it is important to know how much caffeine is in the beverages you are consuming and to avoid over consumption of such beverages. The general recommendation is that 300 milligrams per day of caffeine should be the limit, which is no more than 2 ½ to 3 cups of coffee (20-24 fl. oz) or 3 (8 fl. oz) cans of red bull. Pay attention to your body and use common sense. Some people are very sensitive to caffeine and cannot tolerate it at all. Energy = calories. Take into account the calories of the energy drinks consumed in order to manage your weight. Consuming excess calories over time without increased activity will contribute to weight gain. Be careful not to let energy drinks become a habit or replace nutritious food. Finally, avoid energy drinks completely if you have a history of high blood pressure, heart problems, or severe anxiety since they may exacerbate heart palpitations and pose health risks.